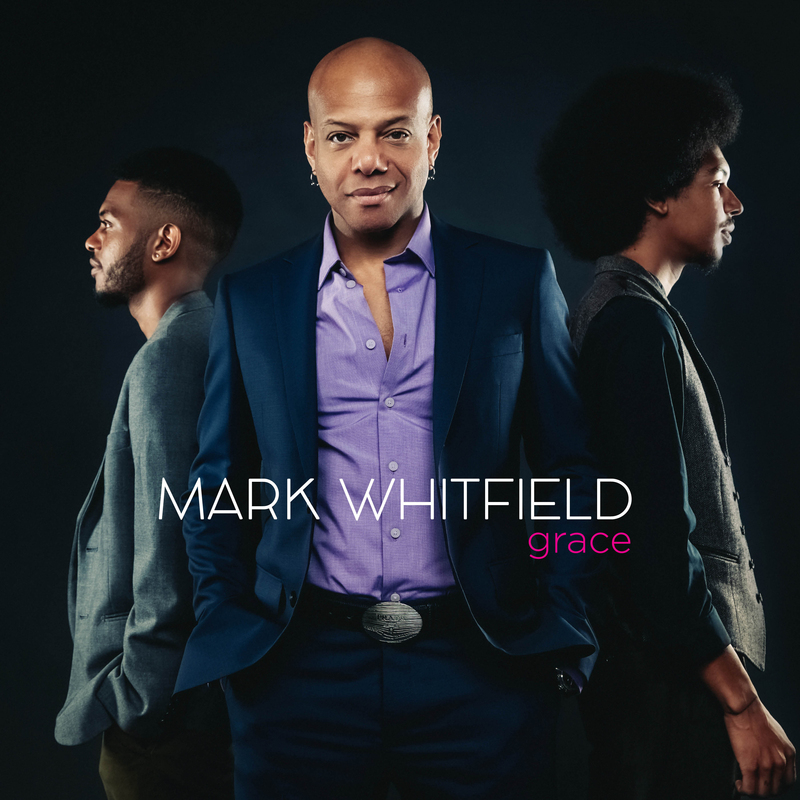 Guitarist Mark Whitfield celebrated the release of his latest CD, Grace, at The Django, located under The Roxy Hotel in the heart of Tribeca, NY. The quartet was the same as on the recording; Mark’s two sons, Davis Whitfield on piano/keyboards and Mark Whitfield Jr. on drums, and the Japanese bassist Yasushi Nakamura. They opened the set with “The Socrates Curse”, a straight-ahead jazz piece imbued of an incredible groove where Mark didn’t squander the chance of showing off his flammable guitar licks and trills. The rhythm acquires a Latin feel for Davis’ solo and then whirls into a frantic swinging pace. The audience rejoiced with “Blues D.A.”, a blues song that naturally sounds pretty familiar, according to its melodic and harmonic solutions. Mark wrote it for Davis. Vocalist Sy Smith stepped onstage, accompanied by two background singers (inaudible at first due to technical issues), to perform “Grace”, a tune that fuses jazz, soul, and R&B, and whose lyrics she wrote. By the end, Smith sparked off a curious dialogue with Mark, whose guitar sound was transfigured by gorgeous wha-wha echoes. Sparky and energetic, the concert put everybody in a fantastic mood.